But cooking is my passion, not my profession. As a marketing strategist; I’m the complete opposite. I view meager measurement as another major marketing malfunction. Measure your marketing, and you’ll manage your marketing immeasurably better. You may think that measuring your marketing may be challenging, but many organizations and individuals aren’t even using the tools available to them. 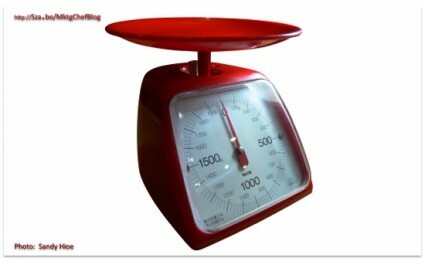 Imagine cooking without using the measuring utensils in your kitchen such as measuring cups, measuring spoons or scales? Cooking sometimes requires precision – measurement matters. Precision marketing demands measurement. Despite the many means available in your marketing kitchen, our marketing audits with small businesses and entrepreneurs persistently uncover opportunities to measure your marketing and increase your return on investment (ROI). For example, our 100 point website analysis reveals most small business sites score below 40. A half-baked website is like a half-baked cake, may look tempting in its external creativity, but inside there is no appeal. The result? Detachment, disengagement and departure. The solution? Measure your Website’s ability to attract, engage and convert. Similarly, are you measuring your integrated direct marketing and advertising response and conversion? And finally if social media ingredients are strategically appropriate for your business, do you measure engagement, advocacy or influence and sales conversion? Easy areas to measure: your website, and where applicable, your direct marketing, advertising, and social media. Need help measuring your marketing? The Marketing Chef takes the mess out of measuring and makes it merry by providing actionable insights to improve your marketing ROI.